Brodie Chapman (KordaMentha Real Estate – Australia) made history in scenic Healesville on Tuesday, winning the Thule Stage One of the first UCI-sanctioned women’s Herald Sun Tour presented by Let’s Go Motorhomes following a stunning solo effort. 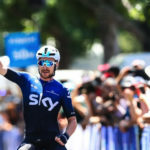 In overcast Victorian conditions, a star-studded peloton generated plenty of excitement along the 123.5-kilometre Yarra Valley course. Chapman asserted her dominance early, overhauling an attack from Sydney Uni – Staminade’s Jade Colligan to claim the first Gumbuya World Queen of the Mountain point. Chapman was then joined by a larger group, including team-mate Tiffany Cromwell, ahead of the decisive Myers Creek Road climb. 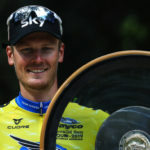 Chapman then went away again, collecting the second Queen of the Mountain as the race headed for a thrilling finale. 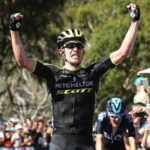 A concerted effort from world time trial champion Annemiek van Vleuten (Mitchelton-SCOTT) looked to have ended Chapman’s hopes of a heroic victory, but the Queenslander held on to finish eight seconds ahead of the chasing Dutchwoman. Recent Cadel Evans Great Ocean Road Race winner Chloe Hosking (Alé–Cipollini) rounded out the podium. The women’s Herald Sun Tour powered by Let’s Go Motorhomes concludes on Wednesday with an electric 1.6-kilometre time trial in the heart of Melbourne’s CBD. Food trucks and entertainment will be present at Alexandra Gardens from midday. The women begin rolling out from 4pm after the celebrity corporate ride, while the men start at 5.45pm. 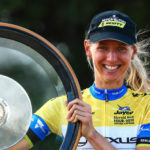 Chapman heads to Melbourne in the Let’s Go Motorhomes yellow jersey, in addition to leading the Gumbuya World Queen of the Mountains classification and holding the Bicycle Beer Most Aggressive title. New Zealander Grace Anderson wears the Visit Victoria – Summer of Cycling U23 jersey, while Hosking is in the Gatorade green sprinter’s colours.